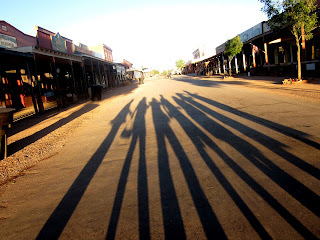 I will be doing several posts on our trip to Tombstone and our investigation of the Birdcage Theatre. I thought I would start with pictures around the town of Tombstone. This wild west little town has lots of history and takes you back in time. Love that dramatic finish. Nice touch. Sounds like you guys had a ball. It was a great group of people that went with us or met us there. We had a fun time. Haha. I can't get that town out of my blood. I tell you, it's my favorite recreation town of all time and the drive there is truly amazing. The drive wasn't too bad except for the accident that slowed us down. I enjoyed visiting Fairbank and having our picnic there. Great Photo's of that Historic Town. Would love to walk those streets and remember who was there so many years ago.